ROBERT PASSAL is well-regarded for his luxurious, livable signature style and client-centered approach to design. His interest in people and how they desire to live in their home translates into a personal process of working with clientele. Robert brings out the best in his collaborators — from Fortune 500 CEOs to musicians, fashion magnates and professional athletes. 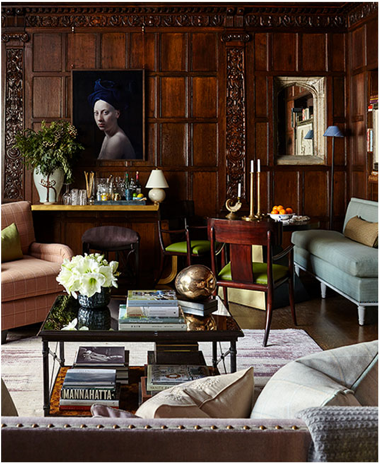 Renowned for his unerring eye, Robert balances fine art and antiques with custom contemporary pieces to create singular interiors. Each project reflects its owner’s individuality, yet the edited tailoring of a classic, informed, and memorable designer is ever-present. From residential to retail and commercial projects, interiors take a luxe view of modern life. Homes vary from a classic Fifth Avenue apartment to a Tokyo pied-à-terre to a 20,000 square foot compound in Houston. Commercial projects are equally diverse, ranging from a modern restaurant for NYC’s prestigious Core Club to an upscale fitness center in Greenwich, Connecticut and a Pediatric Medical Center in NY. Recent retail work includes a menswear boutique for Christopher Korey in NYC and a luxury women’s boutique in Boca Raton. In 2018, with Kim Alessi, Robert opened Putnam & Mason, a Connecticut design destination, which Architectural Digest lauded for bringing “a little bit of an edge to Greenwich” with sumptuous textiles, exquisite art, and a selection of ever-evolving antiques and vintage pieces from Europe and the United States with fascinating tales. Robert’s work has been featured in Architectural Digest, House Beautiful, Traditional Home, Luxe, Cottages & Gardens,Lonny, and Elle Décor. 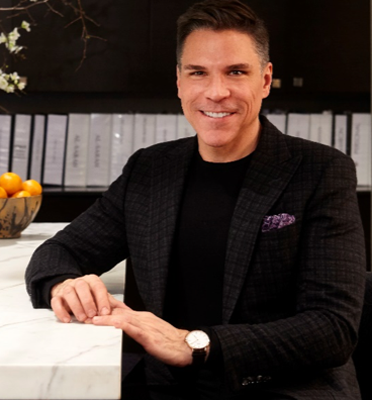 He is the recipient of the coveted Innovation in Design (IDA) Award, Traditional Home’s Top 20 Designer Award, and House Beautiful’s Rising Star Award.